If you’re visiting with us for the first time, we’d like you to know exactly what to expect. We want to provide you with an extraordinary experience, and will make sure that you feel welcome and supported every step of the way. Our office is often described as comfortable, cozy and relaxed with a positive vibe. It’s the kind of place where you’ll feel right-at-home right away. We hope you agree! Your first visit will take about one hour. 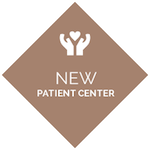 As you enter the office, you’ll be warmly greeted and invited to sit down to complete a comprehensive health history, unless you have taken advantage of our convenient online forms which allow you to complete your paperwork before your visit. This information will be used to help us determine the source of your current problem. We’ll also want to know what your present health goals are so that we can work together to achieve them. Your second visit will also take about an hour. 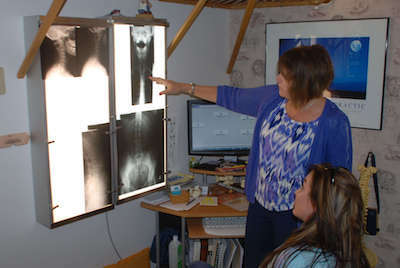 We’ll provide you with a report of findings, which is a review of your examination, scan and X-ray results. This explanation will be followed by a recommended action plan, customized to provide you with fast, effective results. Your care schedule will be based on your exam results, your age and general physical condition and how long you’ve had your present problem. We take the time to understand your problem, and we also make the effort to help you understand what’s standing in the way of you being your best. Our goal is to provide chiropractic solutions in helping you achieve your health goals. This visit will conclude with your first gentle chiropractic adjustment to start you on the path of vertebral subluxation correction and improved function. Subsequent adjustments take about 5 – 10 minutes. 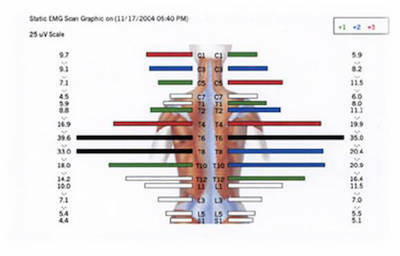 We will assess your spine and you will receive a spinal adjustment if indicated. Our focus is always on locating the problem area, correcting it and sending you off to live a better life. You’ll find that we’re very respectful of your time whenever you come in for care and waiting time is always minimal. We don’t like going to a doctor’s office where we are expected to wait beyond our appointment time so we strive to stay on schedule with our appointments. Our office is friendly and accommodating, and adults and children alike enjoy their visits. 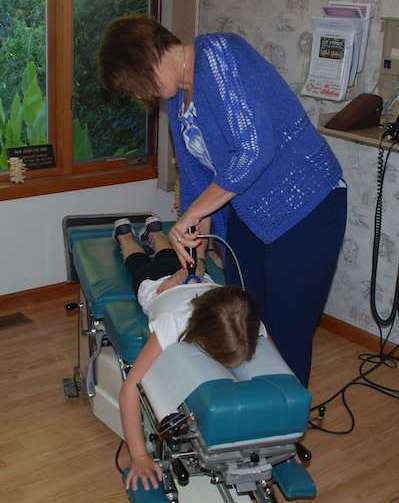 Contact us today to arrange your family’s first visit with our office to start your chiropractic journey. We’re open late for your convenience.